The 2019 Honda Classic PGA Tournament makes its way across the country to Palm Beach Florida. With the west coast swing of the season over, the PGA Tour heads to Florida and Texas for the next 6 weeks all leading up the the Masters Tournament in April. Many top PGA Tour players will now be in weekly tournaments after last week’s World Golf Championships - Mexico Championship during this stretch of events leading up to the Masters in Augusta. 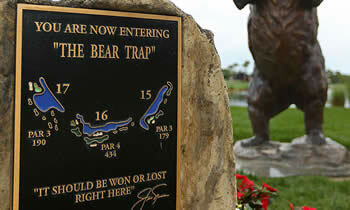 Regardless, The PGA National Champion course will again have loads of drama and the “Bear Trap” of holes 15-17 will once again challenge the players as one of the toughest courses on the PGA Tour schedule. The 2019 Honda Classic will once again have a strong field playing for the $6.8 million in prize money. 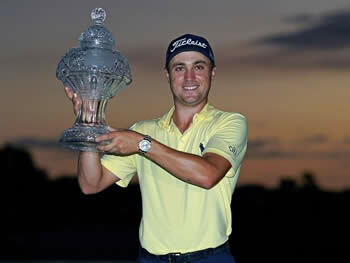 Look for many of the top PGA Tour players to make a return to tame the Bear Trap including defending champ Justin Thomas. For fantasy golf players, having a strong field allows for salary cap prices to be a bit lower for some of the top picks which help you create a better lineup easier. Don't forget about our promo running where if you are a new player at DraftKings and make your first deposit of $5 or more you will also have access into a FREE Fantasy Golf Contest to play for a grand prize worth thousands of dollars. This is a solid promo for anyone that has simply been playing free fantasy golf contests and now is ready to play for some real money! We are affiliate partners with DraftKings. We mentioned DraftKings above which is a solid pick for the PGA Tour but if you already have a DraftKings account then you really need to try out FantasyDraft.com. They have been in the fantasy golf game and DFS for a while and have grown into one of the top fantasy golf sites for players to play for real money and just for fun. I find the more golf I watch, the more stats I look at improving my abilities to make better picks for my fantasy golf games. I am by far no expert at making golf picks but the guys at Golfstats.com are. They offer picks for tournament winners and their expert DraftKings fantasy golf picks as well! You can rely on your knowledge and see how far you get…or you can simply invest in system that will win you a ton of cash. We have sent many players to GolfStats and we see their usernames on the leaderboards alot! The PGA Tour season is still young...try them out before the really big fantasy golf contests start to come out.